I saw different versions of this project popping up on Pinterest, so I thought I’d give it a try. It was super easy and took about 30 minutes on a Sunday afternoon. 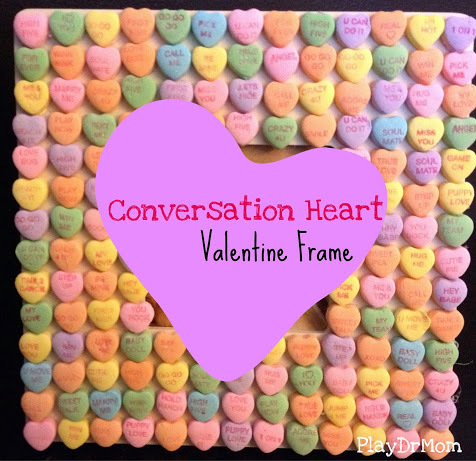 I used a wooden frame that I had purchased at a craft store and about 10 boxes of conversation hearts. (It took SO many because I only wanted to use hearts that weren’t broken and that the words were legible.) I used hot glue to adhere the hearts. Easy Peasy.